Moving to a new home or office in Adelaide can be an exciting new chapter in life but can also be stressful and time consuming. 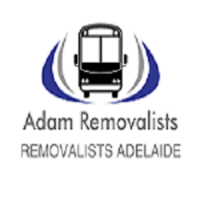 Whether you are buying your first place or just making another stop along your journey in Adelaide, Adam Removalists will get you there. We give fast, responsive and inexpensive service to take the stress out of moving day. As a leading moving company in Adelaide, we offer our clients reasonable, well-organized and trustworthy moving services. We have assembled a team of Budget Removalists Adelaide with many years of experience. Hundreds of happy clients have experienced our first-class moving service. Removalists Adelaide is the preferred choice for Adelaide Area by those who want to make sure their special things are handling with utmost care. Our qualified, knowledgeable moving professionals have an understanding of what it takes and are committed to providing each of our clients with a higher Moving experience. Our expert approach to ensuring that your special belongings are protected and taken care of separates us from the other guys. With our perfect reputation and years of service, Adam Removalists is proud to be the complete moving service company option for many clients, both residential and commercial. If you're moving house, our team of professionals can take care of every part of your move with a flexible variety of services to go with your budget and timing. Our qualified staff will take all the stress out of moving home, flat or organization and guarantee your move is as stress-free and safe as possible. We can offer a full removals service with packing and delivery, or if your requirements are simple, a Man and Van service. Our company is your number one source for specialized moving services. We beat the competition, not only in price, but in quality as well.